Getting started with Pinterest can be a bit confusing at the beginning primarily because it’s focus is on images and not text or web pages. Hopefully you’ve checked out our first post on this subject here – Starting with Pinterest and got your account set up ok.
That’s it – not hard was it , but a crucial move if you want to use Pinterest to market you or your business! The next step after you’ve got your account set up is to get started creating some boards. These are the groups which you can place images or Pins within. Here’s your first encounter with a marketing option and SEO – the Title of these boards can rank in the search engines so think carefully about what you call them. However don’t do the obvious SEO stuff and call them by product or keyword names either. Try and think of a catchy, natural sounding title with your keywords in them – if not your boards will get flagged and maybe your account to. The description can also be used to sprinkle keywords relating to your sites too, but again make sure they sound natural and don’t overdo it. Use very specific keywords to describe products used in the images. Also try and include general keywords related to the product in the description. It helps if you have lists of profitable keywords and phrases related to your niche which you can sprinkle across your pins. Those boards will of course be pretty unappealing without some images in though! Try and add a few images regularly to your boards but make sure they fit neatly into each category. Don’t include every image as a promotional one and post normal, fun and interesting images on each of your boards. If you just create boards focused just on your product and stuffed with boring promotional images you’re going to be wasting your time. If you want to create a lot of boards – perhaps Pinterest really fits well with your target niche then you might need some help finding and posting related images. 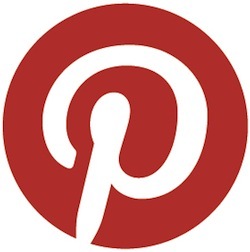 This Pinterest tool can greatly help you build and promote many boards quickly and easily. Don’t use it as a spamming tool but just as a method of automation some of the time intensive aspects.